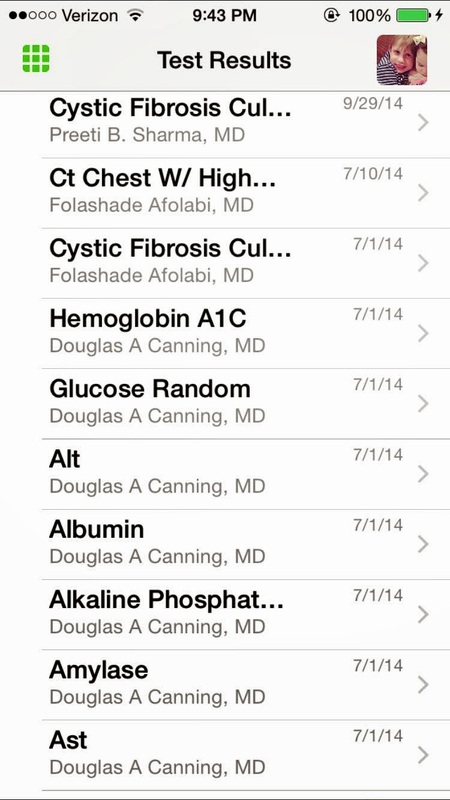 For the average patient, patient portals aren't that interesting or necessary. But, for those who deal with chronic illnesses like Cystic Fibrosis, patient portals can be extremely beneficial in health care. Over the last few weeks, I have been working diligently on a number of projects within our efforts to redesign the current CF Care Model. I have been participating in "environmental scans" of different aspects of CF Care - looking at the current way of doing things and looking more deeply in new ways of doing things. One of CF care aspects I have been most interested in evaluating is the patient portal system. One of the most popular patient portals available these days is EPIC's MyChart. 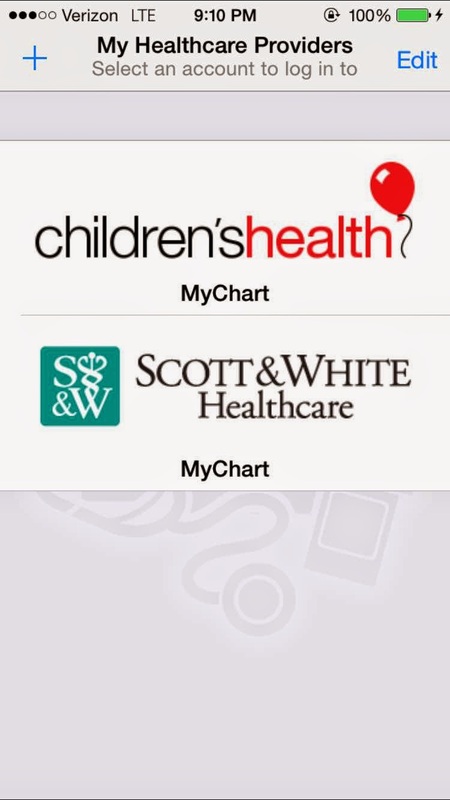 In fact, both of current Bennett's hospital systems (Baylor/Scott and White and Children's Medical Center - Dallas) use the MyChart patient portal. At the CF Care Model redesign meeting several months ago, discussions began dreaming up ideas for a "CF dashboard" of sorts - a web-based interface that would provide individually relevant information about where we have been, where we are and where we might be going in our CF journey (specific ideas included in a CF dashboard might be tracking patient data, access to medical records, access to CF registry, list of medications, instant connection to our CF docs, etc.). But, I have found some gentle push back on the idea of a CF dashboard. Usually, I find those who aren't very interested in the concept will say: "Why would I need something else? I already have MyChart." Well, I recently thought to myself: "Self, maybe I should list my reasons why MyChart doesn't work for me and why I need more. So, that's what I did. 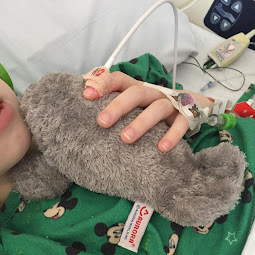 In this post, I will list why MyChart isn't good enough for patients with chronic illnesses. And in a following post, I'll share about some current resources that offer more. I'd love feedback from others in the CF community or chronic illness community on what works and doesn't work with regard to patient portals and MyChart. 1.) MyChart provides very little actual patient health information. 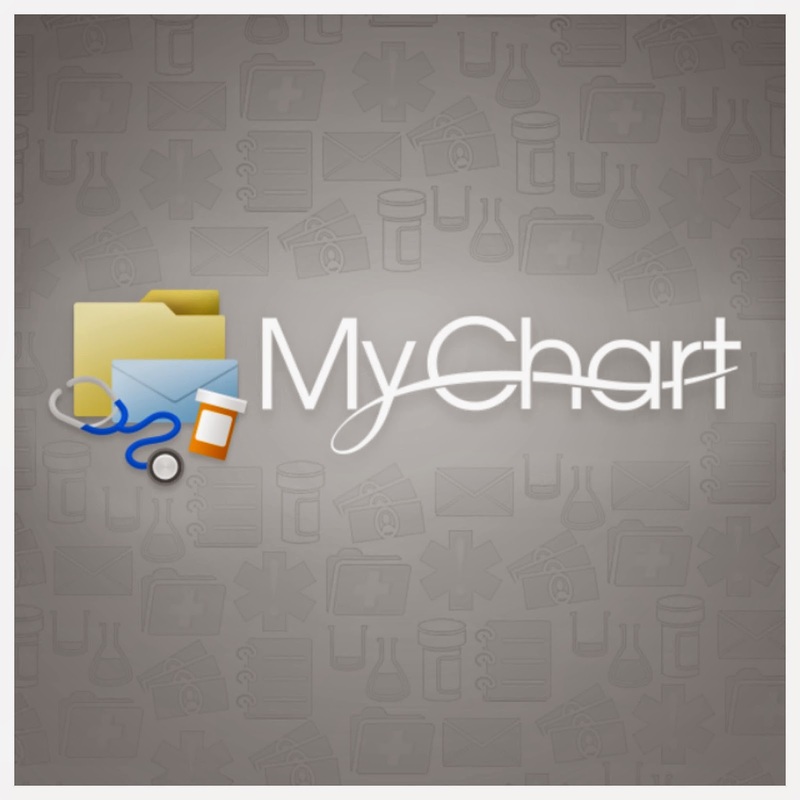 MyChart allows the doctor/health system to determine what information to release to the patient. While some hospital/doctor systems do release some medical record information, both of Bennett's hospitals release almost none at all. What good is an electronic medical record that patients have access to if they don't have access to their information? It's obvious, there is hardly anything of value in Bennett's MyChart, except maybe his vital signs. 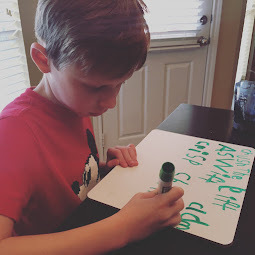 If I would ever want to go back and read about Bennett's clinic visit - what we talked about, what his doctor decided to do in the way of treatment, etc., I would not be able to rely on his MyChart. The only notes from Bennett's last clinic visit state the obvious: "Patient seen in clinic today." 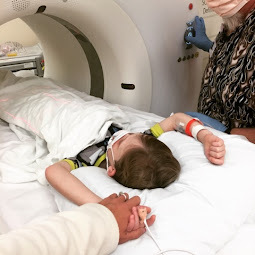 Since MyChart doesn't provide Bennett's medical records, if I would like a copy of them, I have to contact the hospital and to get a paper copy of his medical records which often takes weeks and costs money to me as the patient/caregiver. 2.) MyChart is poorly organized. There is no search feature or ability to find information quickly. Therefore, I must scroll through all of Bennett's test results to find the one I'm looking for. Since we have tests at each quarterly appointment, it doesn't take long for that list to be extensive. This makes it very difficult to compare his test results very easily. 3.) MyChart is driven by the doctor/hospital system, not the patient. I don't control much of anything in MyChart. My doctor does. For example, I cannot send self-initiated messages to my healthcare team. I can only reply to messages my healthcare team has sent me. I can get test results, but only some of them, and only the one my doctor initiates. I can get appointment reminders. And if, and only if, my hospital provides me access, I can create a new appointment through MyChart. Refills can be requested through the app...but only for specific listed medications, the ones the clinic decides to make available. I prefer to have a patient portal that is patient-centric, not hospital/clinician-centric. 4.) For every hospital system of which we are a patient, we have a different MyChart. Bennett has been cared for by three separate CF care centers/hospital systems over the course of his five years. That means that I have to flip back and forth between his different patient portals. This is what the healthcare industry calls "a silo" - a separation between two parts causing the inability to communicate. I do like that the patient portals do allow for multiple patients in the same system. But, for Bennett, we need one system for all of his hospitals and specialists. See the red notification under "Heath Reminders?" To turn off the notification, I have to call my clinic, find the appropriate person and ask for it to be taken off. Ain't nobody got time for that. 5.) The patient has no ability to input information. See the little red notification in the image below? I can't make that go away. It's a notification on the hospital/clinician's side of the patient portal indicating Bennett needs to get a flu shot or his immunizations - things he got months ago. But, since MyChart is controlled by the hospital/clinician, the only thing I can do to get that little red notification away is to call my clinic and track down the right person who can click the right button to make that go away. Ain't nobody got time for that. It can be very frustrating that MyChart is mainly used by the hospital/clinic to push information to the patient, rather than working with the patient to share information. 6.) Patients cannot sign up for MyChart with their phones. They must log on to a desktop version of MyChart first. This is difficult for patients who don't have access to a desktop/laptop, which is so very many patients these days as most Americans access the internet through their smartphones. In my next post, I'll share some of the current patient-centric portals that exist that I would love to see accessible for patients, particularly those with chronic illnesses like cystic fibrosis. 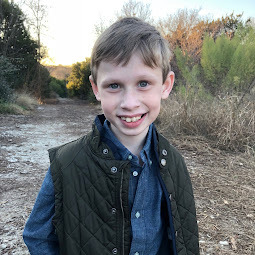 My hope for posting this information on Bennett's blog to help facilitate a change for patients like Bennett who need greater access to medical records for better healthcare. "...until there is a cure."